Dr. Jane McAllister was born in Vicksburg, Mississippi, on October 24, 1899. Born into a time of overt racism that severely limited black opportunity, McAllister’s family managed to escape poverty’s grip and join the small percentage of middle-class African American families in early 20th century Mississippi. Her father’s work as a mail carrier, and her mother’s position as a school teacher, enabled the McAllister family to avoid the cyclic economic problems of the occupations that most African Americans were forced to pursue like sharecropping and domestic service. Dr. McAllister flourished in school, graduating from high school at age 15 and from Talladega College in Alabama in 1919 where she became the youngest Talladega graduate by earning her degree at the age of 19. 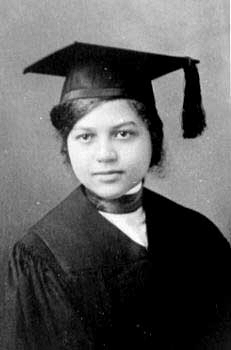 This groundbreaking pattern continued into 1929 when Jane Ellen McAllister became the first African American woman to earn a Ph.D. from Columbia University. From there, Dr. McAllister chose to share her wealth of knowledge with others, teaching psychology and education at Southern University, Grambling State, Fisk College, Virginia State and Dillard among others until her retirement in 1970. Dr. McAllister died in January 1996, at the age of 96.